Vera has completed day one of her journey from Cork to Dublin. The Cork mother is setting off on her journey for the second time, trying to send a message home to our government. She is pleading with them for medical cannabis to give to her daughter who suffers from a rare epilepsy condition, Dravet syndrome. Vera still has 210 KM's to go but the support shes getting from both the general public offering food, showers, places to stay etc and also the media for highlighting the issue. Today's planned route is Killdorrey to Mitchelstown and out the old Dublin road to Cahir via Kilbehany. 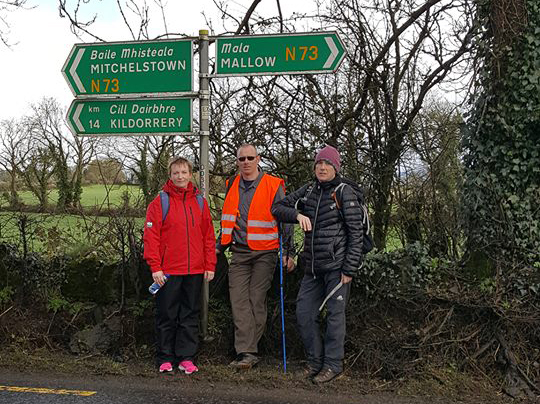 Vera has asked "If you want the join the walk tomorrow the walk is going from Kildorrery to Cahir" and also said "There is a momentum building that's unstoppable".